West Indies 1st innings 9-648 declared (Marlon Samuels 260, Shivnarine Chanderpaul 150*, Darren Bravo 127, Shakib Al Hasan 4-151) 2nd innings 0-30 (Chris Gayle 20*, Kieran Powell 9*) beat Bangladesh 1st innings 387 (Abul Hasan 113, Mahmudullah 76, Fidel Edwards 6-90) 2nd innings 287 (Shakib Al Hasan 97, Nasir Hossain 94, Tino Best 6-40) by 10 wickets. Tino Best exhibited the best performance of his career by grabbing six wickets in the 2nd innings of Bangladesh that ensured consecutive win for West Indies. That was, in fact, a sweet revenge by the visitors from the hosts since they were beaten 0-2 by Bangladesh in the Windies home series in 2009. The Bengal Tigers visited West Indies in July, 2009 and Mashrafe Mortaza led them in the first Test at Kingston that was won by a margin of 95 runs. 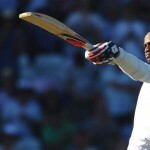 Shakib Al Hasan was assigned the responsibility as a skipper in the next Test at St George’s, Grenada, and the tourists beat the Caribbeans by four wickets. Floyd Reifer was the captain of the West Indies in both Tests and faced humiliation by losing the both games. 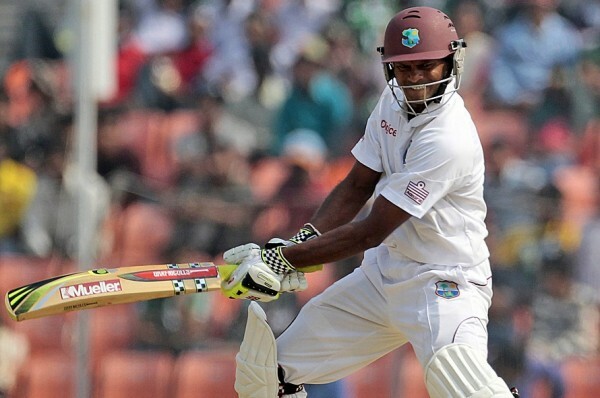 West Indies had already won the first Test of the two match series at Dhaka on November 17, 2012, by 77 runs. Bangladesh scored 387 runs in their first innings and was bowled out for 287 runs in the second. West Indies hammered 648 runs for the loss of nine wickets when their first innings was declared. 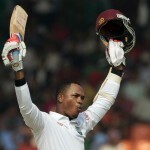 Marlon Samuels (West Indies) was declared ‘Player of the match’ for his herculean knock of 260 runs in the game. 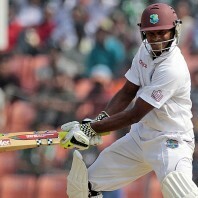 Shivnarine ChanderPaul (West Indies) was declared ‘Player of the series’ for his outstanding batting performance in the Two Tests. The master batsman was the highest run getter in the series by blasting 354 runs at an awesome average of 354 runs with the best of unbeaten 203. The fate of the match was decided on the fifth and final day on Sunday, November 25, 2012, at Sheikh Abu Nasir Stadium, Khulna. Earlier, the Bengal Tigers started the innings at 6-226 in 56.1 overs, Nasir Hussain was at the crease for 64 and Mahmudullah came out to begin the proceedings. The latter was caught behind by the wicketkeeper Denesh Ramdin off Veerasammy Permaul for just two runs on the fourth ball of the day. Nasir Hossain took over as a senior partner with a little assistance from the tail order batsmen. The boundaries were dispatched at the regular intervals from his bat and he hit the first six of the second innings in the 61st over. The ninth wicket of the hosts went down at 269 when Rubel Hossain joined in with Nasir Hossain who was anticipating his maiden Test century in that innings. Nasir Hossain reached 86 at the end of the 64th over and added another eight runs on three balls of the next over but was unluckily clean bowled by Tino Best for 94 off 157 balls with 1 six and 11 fours. Earlier, he had missed the ton by just four runs in the first Test of the series that was played in Dhaka. That was the first instance in the Bangladesh Test history when two batsmen were unable to convert their nineties into hundred as Shakib Al Hasan also missed his hundred by just three runs in the same innings. The entire innings of Bangladesh was rolled back for 287 runs in 70.1 overs and West Indies needed just 27 runs to win the match. Tino Best was the star performer with the ball and grasped his career best figures of 6-40, Veerasammy Permaul held three and Fidel Edwards got one wicket. Chris Gayle and Kieran Powell went out for a mini chase and the first hit a couple of fours in the very first over. The next two overs produced just two runs and Gayle hit another 3 fours in the fourth over which was bowled by Rubel Hossain. Powell shared two back to back fours in the next over and the visitors achieved the target by smashing 30 runs in just 4.4 overs. West Indies clinched the match convincingly by a huge margin of 10 wickets and lifted the two match series 2-0.